L’Heure Bleue is the period of twilight in the early morning and at dusk, when the diffusion of indirect sunlight creates a blue effect in the atmosphere. It is a time of mystery, romance and ambiguity. The perfume by Guerlain (1912) is said to capture this mood perfectly. Its opening spicy anise notes lead to a “powdery” floral heart of rose, carnation and violet, set in base notes of vanilla, tonka bean and iris. Early morning in Paris! I love the bottle and label design. 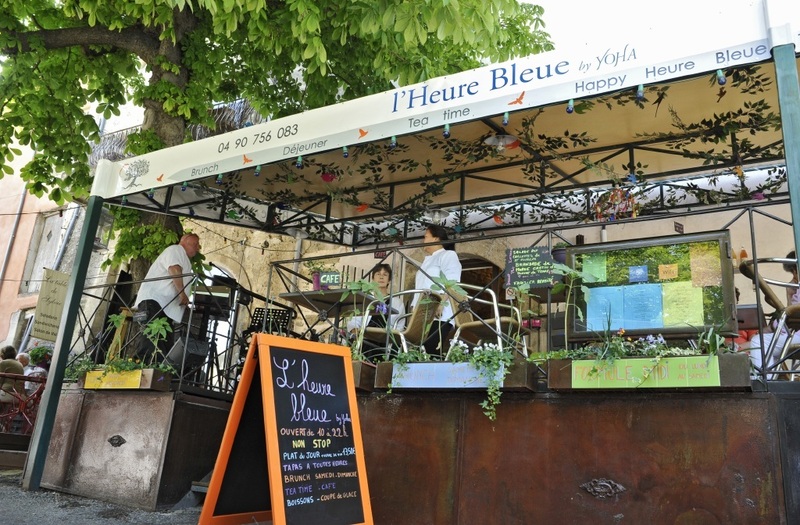 L’Heure Bleue is a popular name for restaurants, like this one in the south of France. But in England, “the Blue Hour” was traditionally the time in the late afternoon before the pubs opened, when you couldn’t get a drink! On Sunday Cynthia went to work and told Andy the whole sorry tale, sniffling a little, but managing to hold back a torrent of tears. Julie, the intern, walked in carrying a bud vase wrapped in gold tissue paper, with a single white rosebud that was beginning to open. “This came for you,” she told Cynthia, and handed her the small card. “Three guesses who sent that,” said Andy. “Wait a minute,” said Andy. 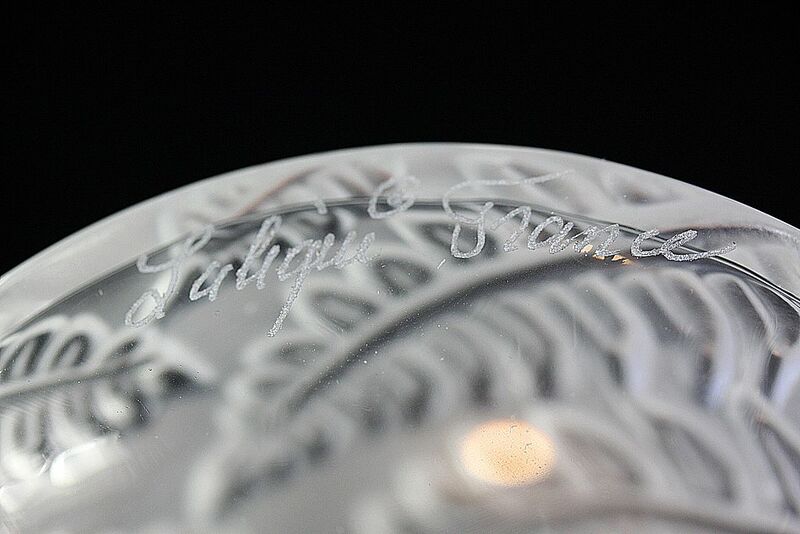 “If I’m not mistaken, that’s a Lalique bud vase.” She lifted the vase out of the paper and pointed at the signature on the bottom. “But you’re too much of a lady,” finished Andy, grinning. 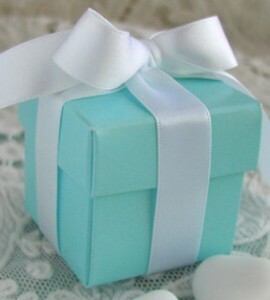 On Monday the museum was closed, but Tuesday brought another offering: a small gift box in Tiffany’s signature aqua blue, wrapped in white ribbon. “Girl!” The consensus in the office seemed to be in Peter’s favor, but they didn’t know the truth. On Wednesday, there was much speculation about whether another package would arrive for Cynthia. When the parcel arrived, everyone who was free to leave his or her post trooped up the stairs behind Julie the intern. Cynthia winced when she saw them coming. “Just send it back, whatever it is,” she said. She raised the lid. The white gold ring was set with a sizable square-cut sapphire in deep blue, and there were two smaller diamonds, one on each side. There was an eerie moment of silence before everyone started talking at once. Shanae insisted that it was an engagement ring, while Andy and Julie argued that it could simply be a cocktail ring. “Where’s the card?” someone finally asked, and Cynthia found a small enclosure card which had slid from the ribbon on the larger box. The handwritten message said, Marry me. Friday’s offering was five hammered 14k gold bangles, from Strozzi’s, a local jewelry store. On the card was written: Cynthia was the first. With her eyes she captured me, a fool who had never before been touched by love. “No,” said Cynthia. “It’s a quote from the Roman poet Propertius. He loved a woman named Cynthia. She was his mistress, not his wife,” she added pointedly. “No.” The gifts angered her. Peter was trying to buy her forgiveness. He couldn’t love her; she wasn’t the type of woman men like Peter married. If they ever did marry. No, he was trying to prove to himself that he could overcome any setback and still have her at his feet. She thought the Roman poetry was a nice touch, but she wouldn’t admit it. 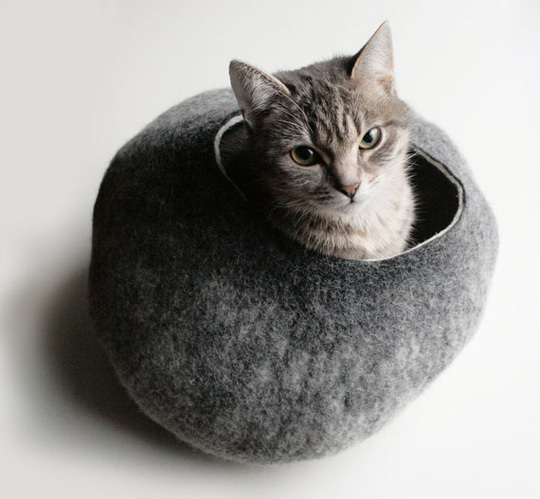 She doggedly packaged everything up, and once more left the Institute on her lunch hour to mail it back. On Saturday there appeared a set of six Mikasa Arctic Lights crystal champagne flutes. “Wedding stuff!” crowed Shanae. “I know what’s coming next! Bubbly!” And sure enough, Sunday brought a delivery of seven pricey bottles of Krug 1998 vintage Champagne. This time there was another quote from Propertius on the card: It is impossible for me ever to love another, or to part from her. Cynthia was love’s beginning: Cynthia will be its end. Notes: Most men lack the skill of selecting the perfect gift. Peter is different in that respect. He’s gone madly overboard of course, but he has a lot to make up for. This is the second time I have written a male lead who screwed up in a big way, and then immediately asked the woman he had offended to marry him. (The first time was James Whelan in London Broil, who had a particularly pleasing way with a gift.) It comes from an autobiographical experience. In my case, the suitor received a resounding NO, and a good thing too. But I wonder if this is something men are in the habit of doing. There seems to be something very romantic, impetuous and male about it. And yes – an exceptionally good gift-chooser, Peter is. Unfortunately I have never met one such man in RL. At least not of the straight variety *ahem*. Well, not on consecutive days of the week, or with the number organisation. But he tells her outright that he is going to continue giving her gifts until she accepts, a strategy he has learned from his mother. He learned it from his mother! Be still, my heart! My limited experience suggests that WHC’s are better encountered in fiction than in real life. Though I could cite a couple of actors who seem, impossibly, to be both WHC’s and true menschen (if I’ve got that form right). What a beautiful bottle, I have never come across that particular Guerlain scent so shall have to track it down for a ‘sniff’. (If it is still made?) I admired Cynthia’s resolve, I think I may have caved at the earrings as well. He certainly would have had me at the fizzy wine glasses and champers. Is it ‘twue love’, remorse or the wager talking? Mmmmm…. It’s so funny the image of.the girl bringing the gifts and the wholestaff behind her to see what was this time! Oh my… I guess I’ve had a terribly boring life, no wicked suitors… Not like those two!!!! Yes, I had fun writing about the gifts! If it happened in real life, I’m sure it would cause a reaction. Especially the boxes from Tiffany’s. “happily bored”, I like it!